Helping customers transform their enterprise environments to the cloud is the driving strategy behind new software, switches and services introduced this week from Juniper Networks. The networking company is introducing what it calls the third pillar of its Unite architecture – the previous two focusing on enterprise and branch office networking. Unite Cloud combines Juniper’s switches and software to simplify management and growth of corporate cloud computing. -Upgraded its data center management software -- Network Director 3.0 – to add the support for configuring multiple data centers through a single point, relieving network administrators from performing manual provisioning and configuration. Network Director lets customers automate the creation and management of L3 IP overlay fabrics. Network Director or other third-party tools can be used to analyze the telemetry data for greater insight and overlay-underlay correlation. 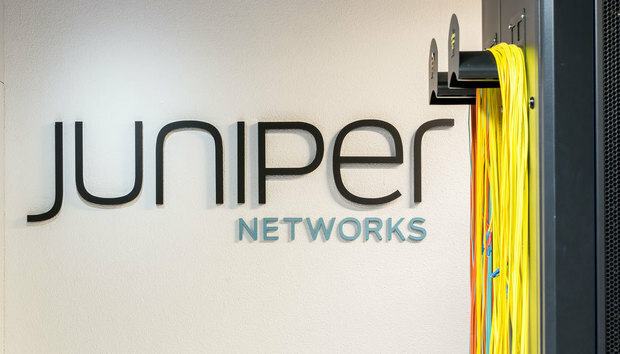 In the future, Juniper said it will combine its Contrail software with Appformix technology – acquired by Juniper in December to enable machine learning that will predict network behavior and adapt to network changes on the fly, the company stated. -Introduced a new more powerful switch – the QFX5110 data center switch which supports 10/40GbE access speeds and four 100G uplinks to enable leaf to spine deployment. The switch is a step up in links and bandwidth support from the company’s current 5100 switch. -Added a managed cloud implementation service -- Contrail JumpStart – to help customers implement and deploy Juniper’s cloud infrastructure. Juniper says JumpStart services include installation and configuration for the software in a pre-defined environment, plus transfer of knowledge for the customer so they can start using and gaining experience with the software before full production deployment. Additionally, they provide post-installation support to address environment-specific questions and issues during the early implementation process. Unite Cloud helps Juniper push into a growing market of cloud infrastructure players that pits it against the likes of Cisco, Huawei and others. "As network upgrades continue to prop up cloud growth overall, the hyperscale cloud datacenters are coming and they will drive new server and storage deployments over the next few quarters. Recently, there has been renewed strength in emerging markets and among smaller cloud service providers. As OpenStack has become easier to implement and maintain by a growing population of capable system administrators, private cloud options are becoming more viable in an increasing set of use cases and with a wider set of deployment parameters," wrote Kuba Stolarski, research director for Computing Platforms at IDC.